The mini-bar is an invariable attribute of the living room setting in respectable mansions and hotel rooms, often combined with a small refrigerator, masking as the main furniture. Many keep houses a small collection of favorite, good alcoholic beverages, both for personal use and in case of receiving guests. Conveniently, this collection will be stored in a specially designed, beautifully designed place, which you can proudly show to your friends and acquaintances. If you do not want to buy sometimes quite expensive construction in the store, the mini-bar can be made with your own hands, using only ingenuity, imagination and materials at hand. 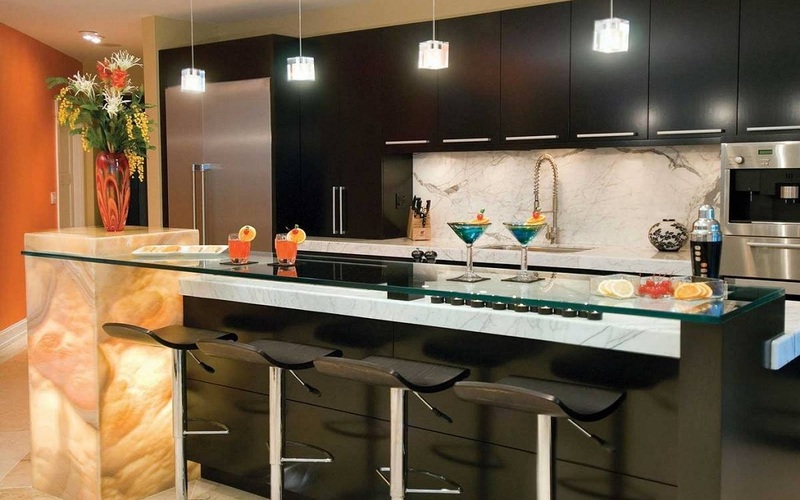 Equipped with small refrigerators for storing certain types of drinks, freezing ice for cocktails. 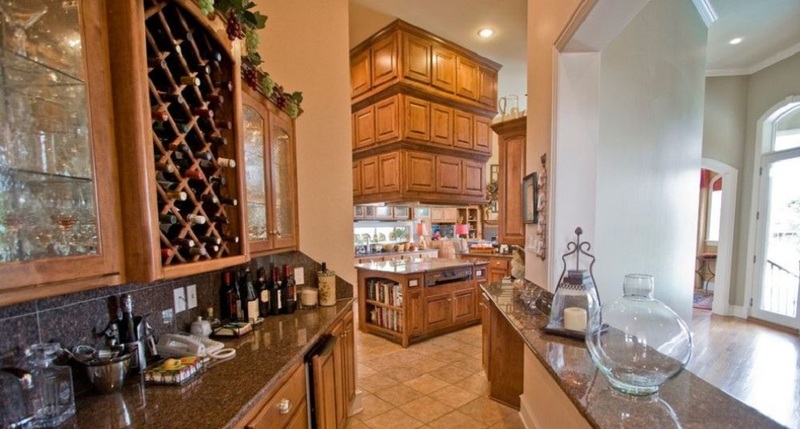 Based on what you plan to put in the mini-bar, you may need shelves or holders for glasses, wine bottles, as well as tools for creating cocktails and serving drinks: shakers, jiggers (measuring glasses), mint broiler, bar spoons, ice molds. As a rule, in a small bar, all these accessories do not fit. If you want to impress guests and loved ones with the skills of a real bartender, treating them with exotic homemade cocktails, it’s best to do so in the kitchen, equipped with a bar, holders for storing glasses, numerous ingredients and all necessary equipment, as in the photo. 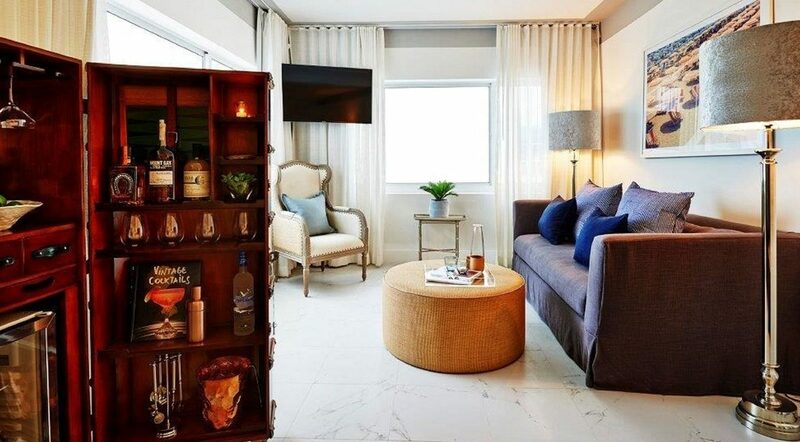 What can you do mini-bar with your own hands? 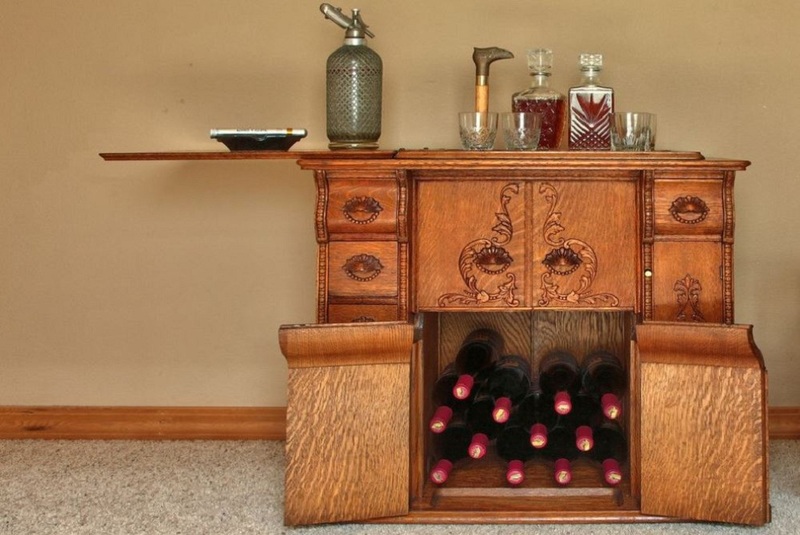 The most popular material for creating a mini-bar is wood. It can be pine, ash, oak boards, as well as plywood or MDF. Wood is the easiest to process, you can paint it, sand it, open it with varnish, decorate it with painting, decoupage, in a word, decorate the future mini-bar for every taste. Metal structures are stronger, more durable, but certain skills and tools are required to work with metal. 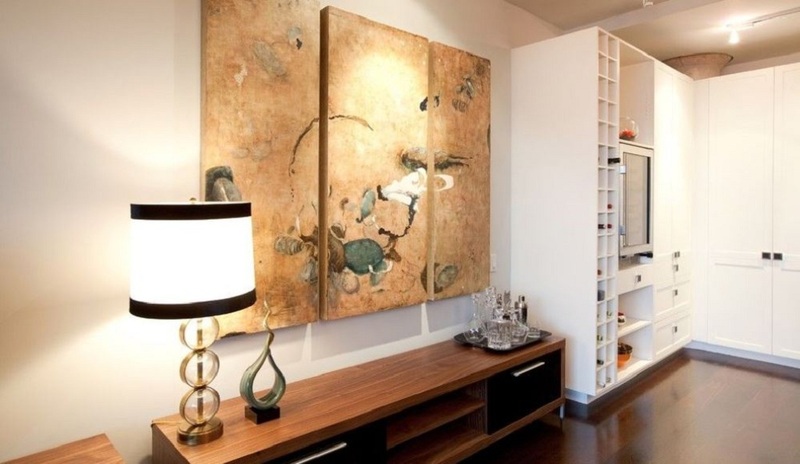 The construction of a wooden bar can be absolutely any, but the easiest way is to make something like a small drawer, drawers with doors, an open shelf, paint it in any color and hang it on the wall in the kitchen or living room. Those who are far from carpentry skills and do not have enough skills to make furniture should pay attention to the tips on creating mini-bars with your own hands from scrap materials and objects that are found in every home. In each house, in each apartment, there are a lot of things that have not been used for a long time for their intended purpose or are so fed up that they want to be thrown away or given to someone, but it’s a pity. If you have an old vintage suitcase, a grandmother’s dresser, a sideboard or an ancient cupboard, shelves for books, do not throw them away in your pantry or in the attic in the country. 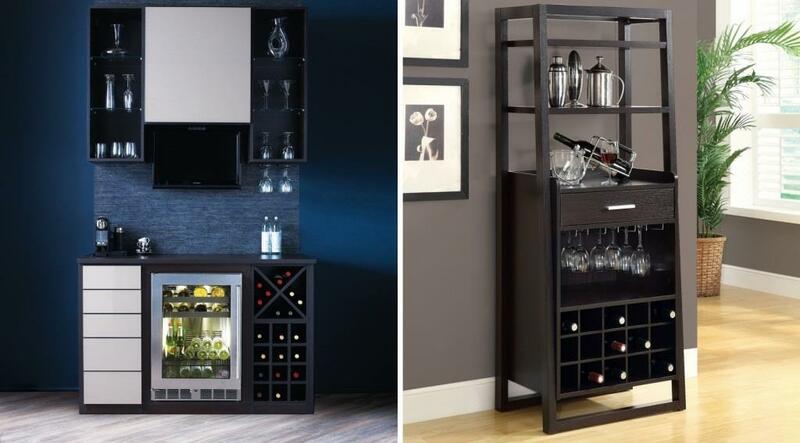 Try to give them a second life, because just from such things you can make a great home mini-bar with your own hands. This alteration will require some effort, and its complexity depends on the initial state of the furniture. If the rack is in good condition, it is enough just to sand it, paint it in any color and open it with varnish. The inner surface of the open shelves, racks can be pasted over with contrasting wallpaper with original prints and mirror tiles. The main thing is that the shelves and boxes fit the size for storing bottles and glasses. In addition, care should be taken that the drawers move smoothly, without jerks, and the glass objects do not break. Install special inserts or dividers made of wood, wire or plastic, bottle holders. 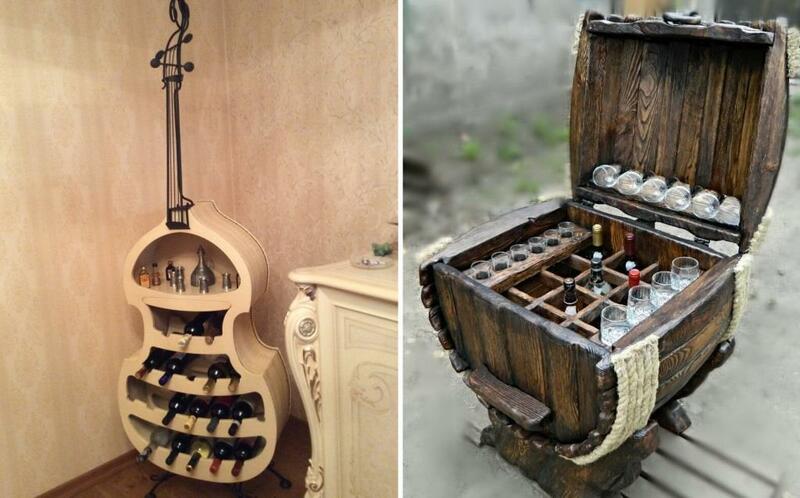 The inner space of the old suitcase will be an ideal place to store a small supply of alcohol, it is enough to equip it with special inserts and shelves. clamps. You can use fabric holders with pockets, just do not forget to fix your vintage mini-bar in a certain position so that its contents remain unharmed. 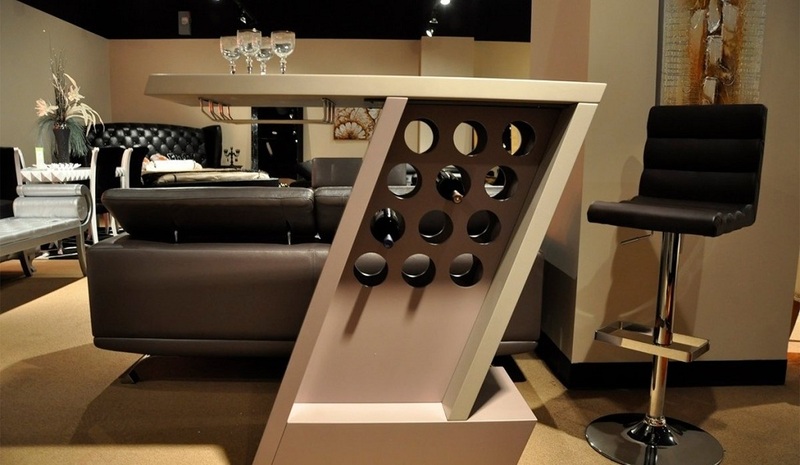 It will not be difficult to make such a mini-bar with your own hands, and it will look stylish and decorate any room. The beautiful lock will be the highlight of your art object, and at the same time, it will save elite alcohol from the encroachments of curious kids or pets. Other things that easily turn into a home bar. An old changing table or dressing table can be easily converted into a mini bar. It is enough to remove a layer of paint, level, prime the surface, give it the desired shade. As a result, you get a comfortable, beautiful, practical piece of furniture that will heal a new life. The mini-bar can be made from the open shelf – the main thing is that this method of storage is suitable for the type of beverage that you prefer. For example, the wine loves dark, warm, dry places, liqueur also should not be stored in the refrigerator, otherwise, it will dim. 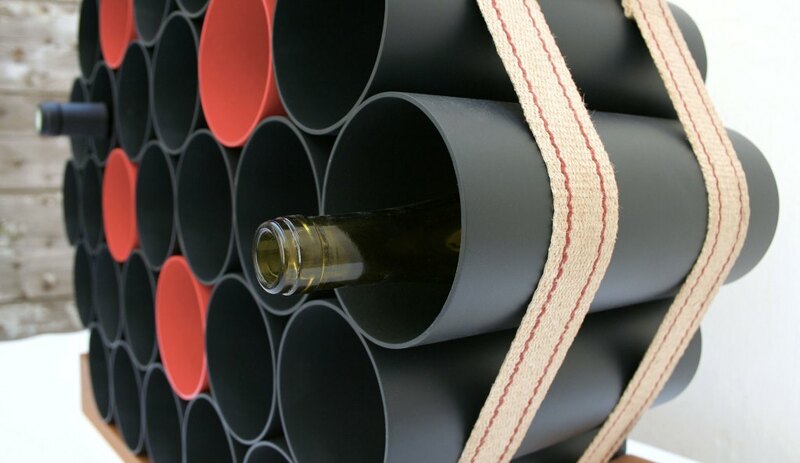 Wine bottles can be placed horizontally, so special holders and stoppers should be provided for the wine shelves. Whiskey, brandy, vodka stored in a dry, cool place in an upright position. All alcoholic beverages, without exception, lose their properties from direct sunlight, so it is worth considering this moment. Shelves for home mini-bars can be made of wood, old bookshelves, securing them on the wall, in a niche, right on the door leaf (on the stationary part of it). Beautifully look shelves of wine boxes, which can be further treated with varnish, toned, giving them a vintage flavor. A classic cabinet in the kitchen or in the living room, a square drawer with or without a door, a cabinet from the headset with a transparent door is ideal for decorating your own mini-bar. Cover the box from the inside with beautiful paper, self-adhesive film, wallpaper or paint in any shade. You can use mirror panels, LED backlighting. It remains to beautifully arrange or expand the bottle, add a couple of glasses on a tray, other accessories – and the stylish mini-bar at home is ready! 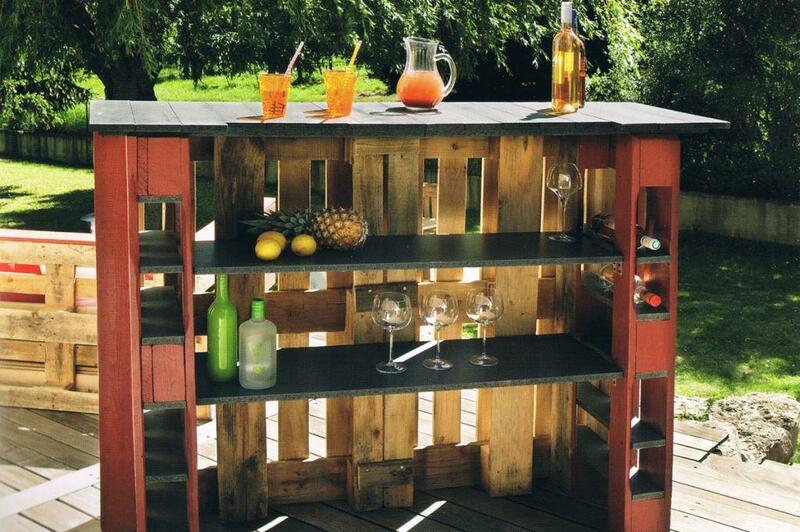 The bar from the pallet will be an excellent addition to the apartment in the loft style, retro. From a wooden structure, pre-treated with various impregnations, sanded, varnished, painted or stained, you can make a real bar with internal fittings for bottles, glasses, lights, and other accessories. If you fix the pallet on the wall, you will get a stylish, authentic stationary mini-bar, and the wheels will turn the design into a mobile serving table with functions for storing drinks and dishes. Do you already have an old serving table? It remains to update it with your own hands, repainted, providing beautiful baskets for storing bottles, glasses, glasses, ice bucket, other accessories, and the boring thing will turn into a mobile home mini-bar with an exclusive design. Pipes you can cut right in the store, you just need to specify the desired size. The houses will only need to process the sections with sanding paper, walk through the pipes with a brush with acetone to remove the oil and foreign substances. After that, each piece of pipe is treated with a primer, allowed to dry and coated with a paint of the selected shade. Between themselves, the future bottle holders are fastened with double-sided adhesive tape, and then the entire structure is mounted on a pre-selected surface, – in a hanging shelf, drawer, on a wooden base. Inspire with our ideas, photos, and tips, invent new ways to create mini-bars with your own hands and create, delighting yourself and loved ones with unique, beautiful things!